If you thought it was a rumor, prepare to have your tastebuds bursting with this helping of truth. Taco Bell’s nacho fries are an actual “thing” — and they’ll be available nationwide later this month. But wait, it gets better. The newest menu item will be the perfect addition to your regular order. Because the fries aren’t only going to be delicious, they’re going to be deliciously cheap, too. Priced at just $1, this side item won’t break the bank. And that means grabbing more than one batch to share with your family and friends is a must. (Or maybe some extra helpings just for you. We don’t judge.) Because the way they’re being described, we can bet one serving won’t be enough. 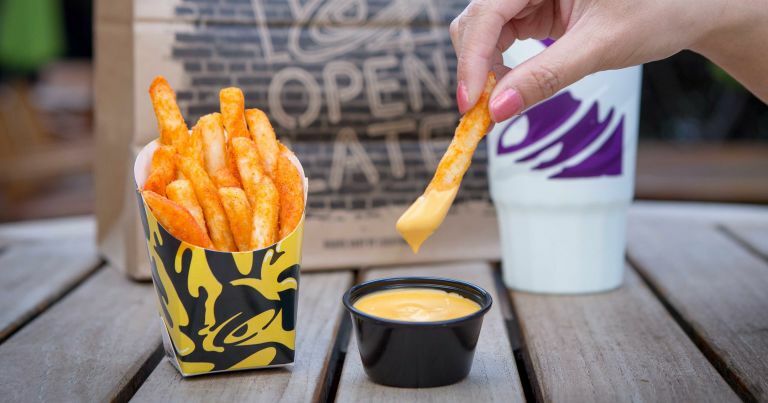 Taco Bell’s nacho fries will be available January 25th, and we cannot wait. Those of us with enormous appetites — or eyes that are sometimes bigger than our stomachs — will be even more excited to know that Taco Bell plans to open 300 more cantina-style locations in the next five years. Boozy slushies for everyone! And just like that, Taco Bell has already blessed us all in 2018. And we couldn’t be more grateful.